Affiliate linksThere’s nothing more antagonizing than an unbreakable cycle of acne. If you also have acne-prone skin like me, and still struggling with pesky pimples long after your teen years, either because of hormonal imbalance, stress or other triggers, you know it’s downright frustrating! In my ongoing battle against breakouts, I have tried and tested more than my fair share of acne skin care products. 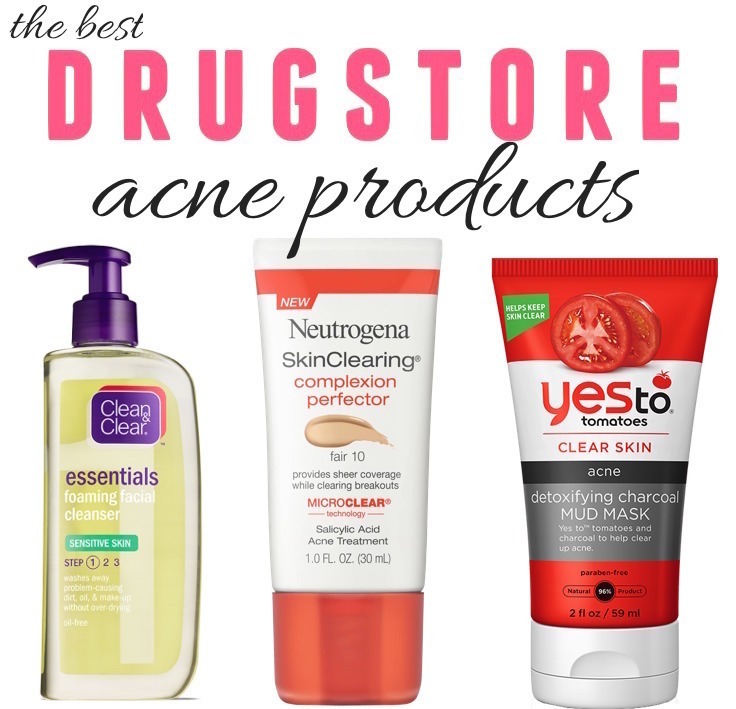 I have already covered my favorite drugstore acne treatment products – from spot treatments to cleansing scrubs, that help keep my complexion under control. However, sometimes those stubborn problem spots and acne flare-ups call for an intensive treatment to get immediate results. That’s where face masks come in! They are such a great way to give skin a healthy dose of beneficial ingredients while giving yourself some down time to relax. How does a face mask for acne help? It lifts away dead skin cells, dirt and excess oil that block the opening of pores. When pores become blocked, it leads to blackheads and pimples. Using a face mask regularly removes pore-clogging impurities to help reduce the likelihood of outbreaks. Face masks also improve the texture of your skin and make it look smoother and brighter. Today I’ve rounded up the best drugstore face masks for acne-prone skin that are potently packed with skin-loving ingredients and will surely help you fight the good fight against acne! 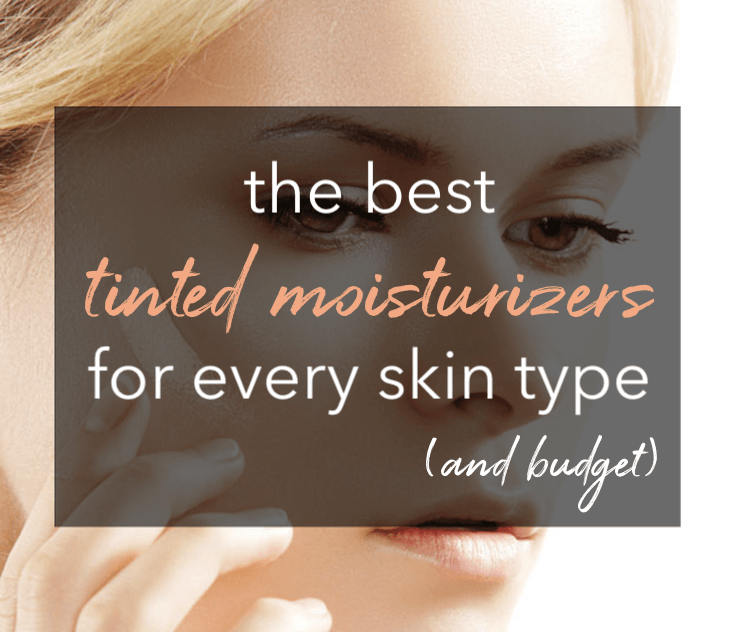 None of these is too time-consuming or too messy, and won’t over dry your skin. Best of all, they are all under $20! Word of the wise, though: Always test a small bit of any new mask on a small section of your skin before going full-face. Better safe than red-faced and irritated. So, when you want instant gratification without a hefty price tag or time commitment, these acne-fighting drugstore face masks are the way to go! When it comes to natural beauty brands at the drugstore, SheaMoisture has always been my top choice. I love every single product I’ve tried and this face mask is no exception! Designed for acne-prone skin – whether it’s oily or dry (like mine), it draws out dirt and congestion while soothing troubled skin. Its active ingredients include Tamarind Extract (a natural astringent), Tea Tree Oil (antiseptic) and African Black Soap (a natural remedy for blemished skin) that help stop acne in its tracks. You know those days when your skin needs an extra dose of TLC? This super-charged mask detoxifies dull, tired skin in just 10 minutes! The creamy, non-drying formula is infused with potent pure clays and charcoal that acts like a magnet to draw out pore-clogging impurities (such as dirt, oil, and pollution). It leaves skin feeling fresh, purified and smooth with a healthy glow! This indulgent clay mask is the perfect pick to recuperate your skin after a late night out on the town. Apply it before bed or in the morning to give your skin a glowing boost. I also love L’Oréal’s Exfoliate & Refine Pores Pure Clay Mask ($9.99) that addresses rough and clogged skin with a blend of natural volcanic rock particles, 3 pure clays and red algae. Both of these are really great…I can’t pick a favorite! Oily, acne-prone skin is no match for this creamy natural mud mask that will get the gunk off your face while treating you to a decadent detoxifying experience! It draws out impurities from congested pores with charcoal, treats and prevents acne breakouts with salicylic acid, and conditions with a botanical blend of tomato, aloe, watermelon, pumpkin, and chamomile extracts. Just leave it on for 10 minutes and let it work its detoxifying magic. It leaves skin matte but not tightly dried out for a fresh and clean feel! Also, it’s cruelty-free. One of my latest favorites, this mask is like a 15-minute facial to revitalize congested, dull skin! It’s a pore-clearing, glow-revealing treat that deep cleans and purifies skin without drying. The formula has kaolin, sea salt and mineral-rich mud that absorb excess oil/impurities and fight breakouts while ginseng & aloe vera soothe and hydrate. And it’s cruelty-free. Specifically designed for stubborn breakouts, this gel-based leave-on mask from Neutrogena lets you treat acne around the clock! The sheer gel formula is medicated with 2.5% benzoyl peroxide, which is the gold standard ingredient for killing acne-causing bacteria. The texture is so light that you’ll barely feel it on your skin and dries clear. It absorbs instantly to help fight current and future breakouts. Unlike traditional masks, this is not a wash-off product and meant to leave on skin, under your moisturizer or makeup. 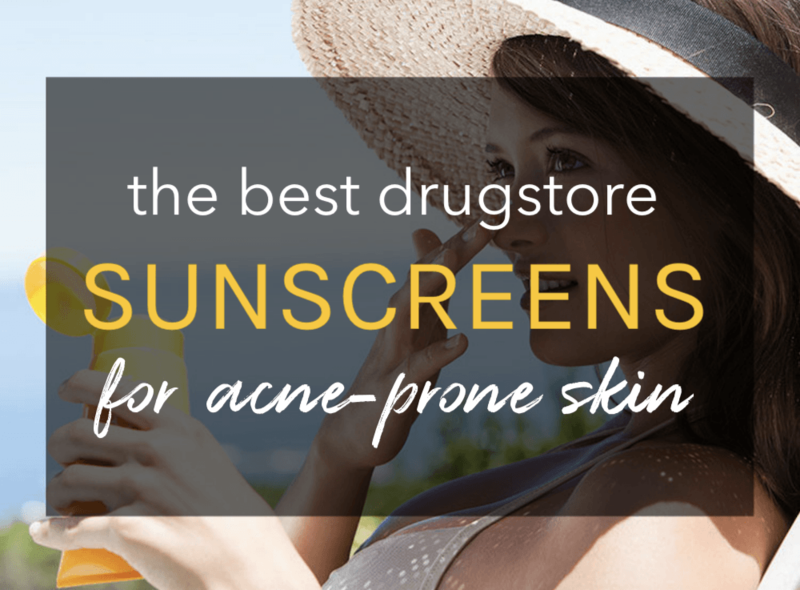 It won’t over-dry, sting, or burn skin, and gentle enough for daily use especially as a spot treatment. Another great mask that’s natural but packs a serious punch against stubborn pimples and blackheads! It works double time to detox skin – first, it purges pores of deeply rooted toxins and oil, then exfoliates away micropollutants which gives that squeaky clean, smooth feeling. Thanks to potent natural clays, activated charcoal, and apricot seed powder, your skin will be decongested in no time…don’t leave it for more than 5 minutes, it’s powerful stuff! This mask is actually a great (and much cheaper!) alternative for the super popular Glamglow Supermud Clearing Treatment…this one is less drying too! It can also be used as a spot treatment on problem areas where you have more clogged pores. Got a hot minute? That’s all you need to purify your pores with this 1-minute charcoal-based wonder! It warms on contact to open pores and draw out deep-down dirt and oil, then finishes with a cooling tingly sensation, leaving skin smooth, clean & clear! This mask can be a bit drying if used too frequently, so resist the urge to use more than twice a week. One box includes four single-use packets that are not only ravel-friendly but also make it easy to use just the right amount! This one is a real steal at under $4! It’s a double-duty formula that goes on like a mask, warms your face as it loosens and lifts out grime, and rinses off like a scrub, sloughing off dead skin. The result is a smoother, clear complexion with smaller appearance of pores in under ten minutes! True to its name, this paraben-free face mask helps tighten and purify pores while giving your skin a deep detox. It’s formulated with two ultra-fine white clays [Kaolin, Bentonite] plus aloe vera extract and Vichy’s Mineralizing Thermal Water to hydrate and soothe skin. I love that it’s not at all over drying, and helps with blemishes and blackheads while being gentle on my sensitive skin. This powerful mud mask goes straight to work on your clogged pores. It contains bentonite and kaolin clay to absorb oil, strawberry and rosemary to eliminate impurities, and yarrow to clarify skin for instant complexion perfection! It’s perfect for a relaxing night in, or for deep cleanse to refine your skin! If you have really dry skin though, this may not be the formula for you. What’s your favorite acne-fighting face mask? See any of your must-haves in this list? I LOVE the Formula 10.0.6 brand for their face masks, Ive used them for quite a few years now. Can’t beat their prices either. I agree with you! I love their glow mask too!